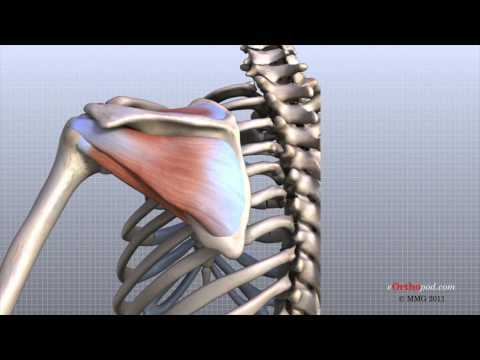 Which are the Shoulder Flexion Muscles? As you can see , we listed four specific shoulder flexion muscles that you need to know for NASM-CPT. There are many muscles that you need to memorize for the NASM Certification test. Memorization in general is not an easy task. Memorizing the muscles that extend the shoulder is even worse. Everyone memorizes in different ways. However, here is a tip to help you memorize the shoulder flexion muscles. Read more about NASM Certification Prep here. A mnemonic can help you memorize. Here is a mnemonic for the shoulder flexion muscles. The P stands for Pectoralis Major Clavicle. The A stands for Anterior Deltoid. The B stands for Biceps Brachii Short Head. And the C stands for Coracobrachialis. In general, wherever you find the Biceps Brachii Short Head, you will find the Coracobrachialis. You need to drill the following information into your head. The Pec Major muscles shows up in four shoulder joint movements. They are; flexion, adduction, horizontal adduction and internal rotation. The mnemonic for the shoulder joint movements which recruit the pec major muscles is FADDI. F stands for Flexion of the shoulder. ADD stands for all adductions of the shoulder. I stands for Internal rotation of the shoulder. FADDI is a movement of the shoulder joint mnemonic for all shoulder joint movements that involve the pec major. Once you know these joint movements, you will have an easier time remembering the muscles. Because each of these joint movements has the pec major. All you have to do now is remember the rest. Shoulder flexion is PABC or pec major clavicle, anterior deltoid, biceps brachii short head, coracobrachialis. Shoulder adduction muscles are PBCLTT. Which stands for the pec major sternal, biceps brachii short head, coracobrachialis, latissimus dorsi, teres major and triceps brachii long head. Tip: whenever you have the latissimus dorsi, you are likely to find the teres major. The horizontal shoulder adduction muscles mnemonic is PABC as well, just like shoulder flexion. The PABC of horizontal shoulder adduction stands for: pec major, anterior deltoid, biceps brachii short head, coracobrachialis. Notice that the difference between PABC for shoulder flexion and horizontal shoulder adduction joint movement is the clavicle. In horizontal shoulder adduction, the P stands for Pectoralis Major. The entire pectoralis muscle is recruited, not just the pec major clavicle. Think of doing a wide grip bench press for example. Last is the I, which stands for internal rotation of the shoulder. Internal rotation of the shoulder muscles mnemonic is PSALT: pec major, subscapularis, anterior deltoid, latissimus dorsi, and teres major. So, we have PABC, PBCLTT, PABC and PSALT as mnemonics for FADDI. All flexion of the shoulder happens in the Sagittal Plane. In addition, all flexion and extension of the shoulder also occurs in the Sagittal plane. Last, you must know that all flexion and extension of any joint occurs in the sagittal plane. While this module is about shoulder flexion, it is important to be aware of the planes of motion. This is because NASM expects you to know the planes of motion. Any time that you see flexion or extension, know that the joint movement is taking place in the sagittal plane. For now, that is all you need to know. We will soon explain the planes of movement and the degrees of freedom. These are additional concepts that you need to learn. Here are a few examples of shoulder flexion exercises. The first is the Close Grip Bench Press. This uses both shoulder flexion and elbow extension. If you think that a close grip bench press is shoulder extension, that is not correct. When you are lying on the bench, your shoulder is moving forward and upward as you raise the weight. Thereby decreasing the angle between the shoulder and the midline of your body. Any forward arm movement where the arm is moving forward and upward is going to involve shoulder flexion. The close grip bench press is a multi joint exercise. As opposed to the front raise which is a single joint exercise. In the front raise, you are moving your arm forward, lifting the weight towards shoulder height. This is another example of shoulder flexion. The muscles for shoulder flexion are PABC: Pectoralis Major Clavicle, Anterior Deltoid, Biceps Brachii Short Head and Coracobrachialis. Is the Pushup Flexion or Extension of the Shoulder? The primary muscle (agonist) for the push-up is the pectoralis major (or pecs). Your pecs are essentially your chest muscles. As you lower yourself toward the floor, your pecs lengthen and control the speed of your descent. As you push back up again, they shorten. For movement to occur during your push-up, when one muscle contracts, the opposite (antagonist) will relax. This is called reciprocal inhibition. The main antagonist muscles during a push-up are your trapezius, posterior deltoids and rhomboids. These muscles are on the opposite side of the torso in relation to your pecs. The helper muscles (synergists) used during a push-up are important because they assist the agonist. The main synergists in the push-up are your triceps and anterior deltoids (or front shoulder muscles). What is the Range of Motion for Shoulder Flexion and Extension? The shoulder flexion range of motion is on average 180 degrees. If you start from the anatomical position, which is standing tall and your palms in a supination, meaning palms forward. And you raise your arms forward, as far as you can move them forward and upward. Most likely, the furthest you can go is till your arms are pointing directly overhead. Which is a shoulder flexion range of motion of 180 degrees. By the way, this is how to present an example of standing shoulder flexion without any weights. What are the Degrees of Freedom for the Shoulder Joint? The degrees of freedom refers to how many planes of movement does a joint have. For example, in the case of the shoulder joint, we can say that there are three degrees of freedom. Shoulder flexion occurs in the sagittal plane. This is one degree of freedom, meaning that we have one plane of movement. And the same is true for shoulder extension which occurs in the sagittal plane. Remember, all shoulder flexion and extension movements occur in the sagittal plane. This is important to know for your NASM Certification exam. In addition, shoulder adduction and shoulder abduction happen in the frontal plane. 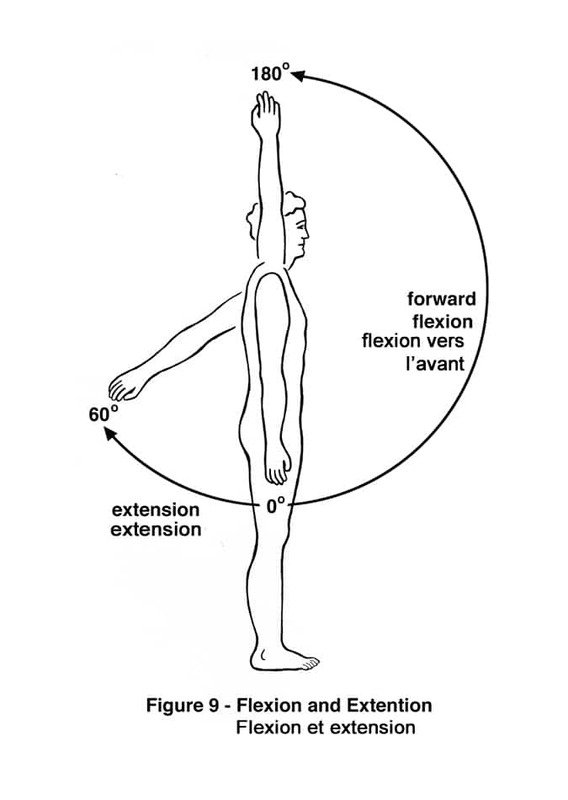 All adduction and abduction along with lateral flexion (side bends) occur in the frontal plane. Therefore, shoulder abduction and adduction are a second degree of freedom. Last, the shoulder joint is also capable of horizontal adduction and horizontal abduction. And, the shoulder joint can also do internal rotation and external rotation. All horizontal adduction, abduction, and rotations occur in the transverse plane. This is a third degree of freedom. Therefore, the shoulder joint has 3 degrees of freedom. This means that the shoulder joint can move in 3 planes of movement. Remember these shoulder flexion degrees of freedom, they will likely come up on your NASM-CPT Certification exam. How does knowing kinesiology improve training?